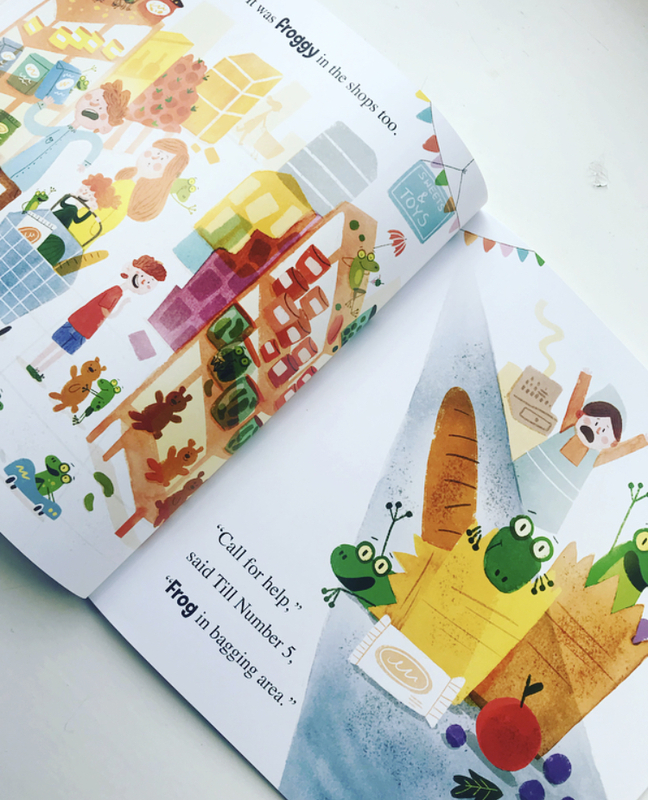 I find the best method of really putting of some of the picture books I get to the test is to read them to our story time group, a set of discerning pre-schoolers, they’ll soon let you know if book gets the thumbs up or not. 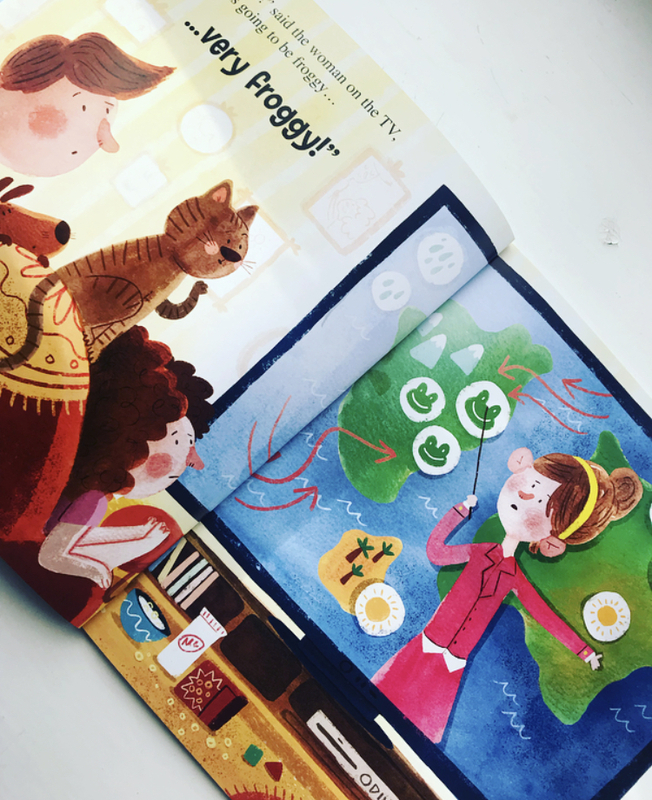 This was my most recent read to them, Froggy Day, written by Heather Pindar, illustrated by Barbara Bakos and published by Maverick Arts Publishing. This is one of those picture books that doesn’t have a moral, or an underlying meaning or purpose, it’s just pure, simple silly and that’s exactly why I picked it. It’s a little play on words, starting with the weather forecaster declaring that the day was going to be very froggy! The story takes us around the town as a multitude of frogs cause absolute chaos. It is really very funny. My one concern with reading this to pre-schoolers was whether they would really understand the play on words, but a quick explanation before we started reading the story and the children seemed to understand the concept quite well, and regardless of whether they did or not, they laughed and laughed and made “ribbit” noises and thoroughly enjoyed this book. They all sat impeccably through the whole thing, clearly fascinated. 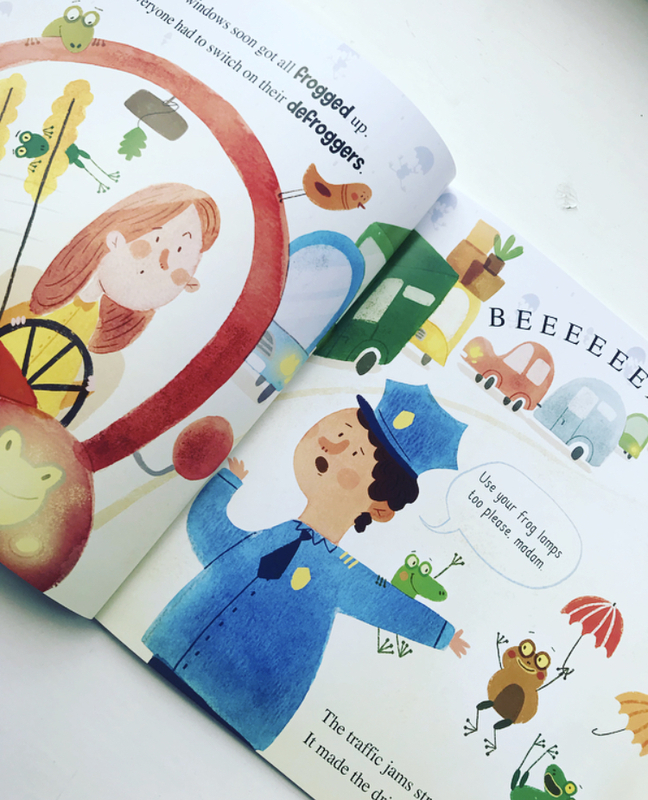 From my point of view, as a storyteller, I so enjoyed reading it too, the play on words was such fun to read out loud, it allows for lots of dramatic expression and animal noises. There’s enough humour that will appeal to adults in this lovely book that’s it’s a fab family read. 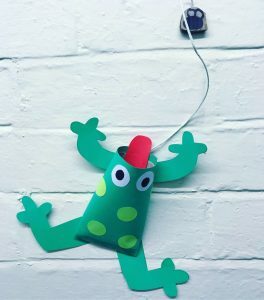 For our craftactivity, I made a frog fly catching game (found on the internet), which was simple and quick to make, but children enjoyed making it, and both children and adults enjoyed having a go. 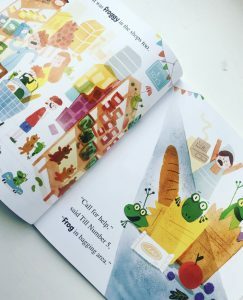 I would call Froggy Day a story time success! 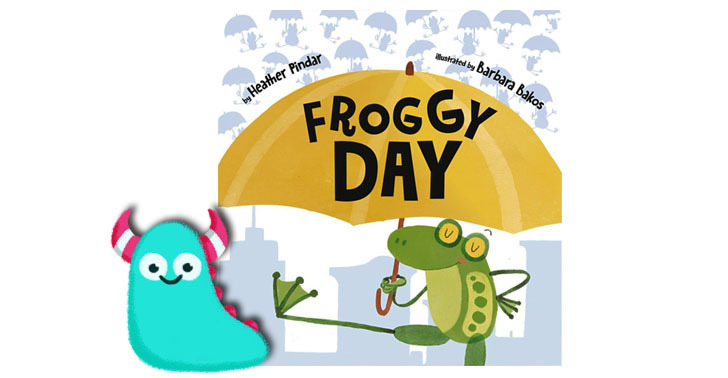 Froggy Day is now available from all good bookshops and libraries. I used a library copy for my story time, but thank Maverick Books for sending me a copy for review. 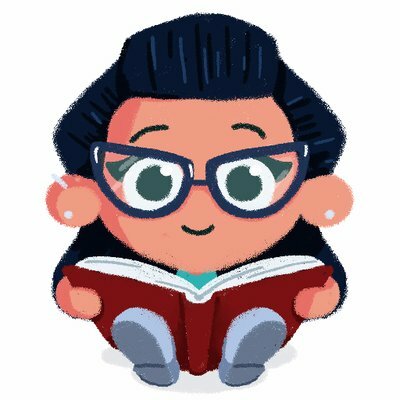 Thank you for reading this ribbeting Book Monster review. 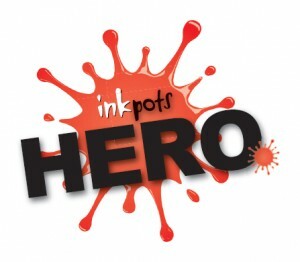 Previous Post Disney Animated Classics – Familiarity doesn’t always breed contempt.